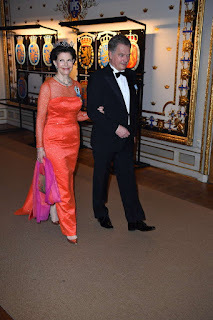 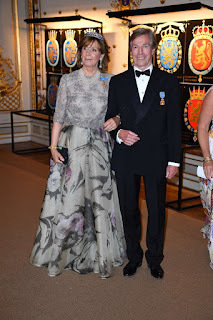 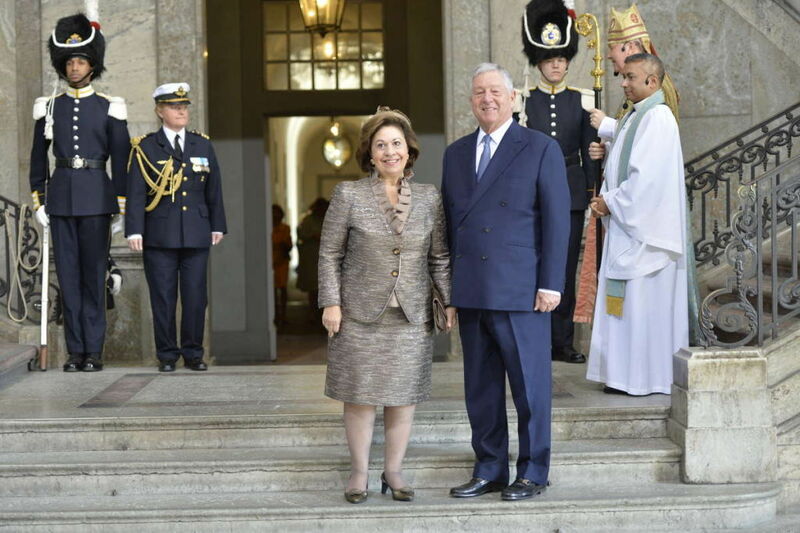 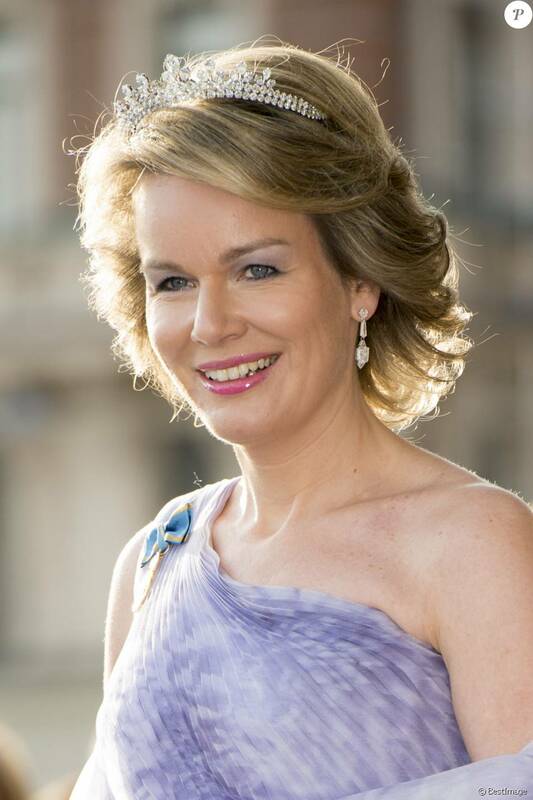 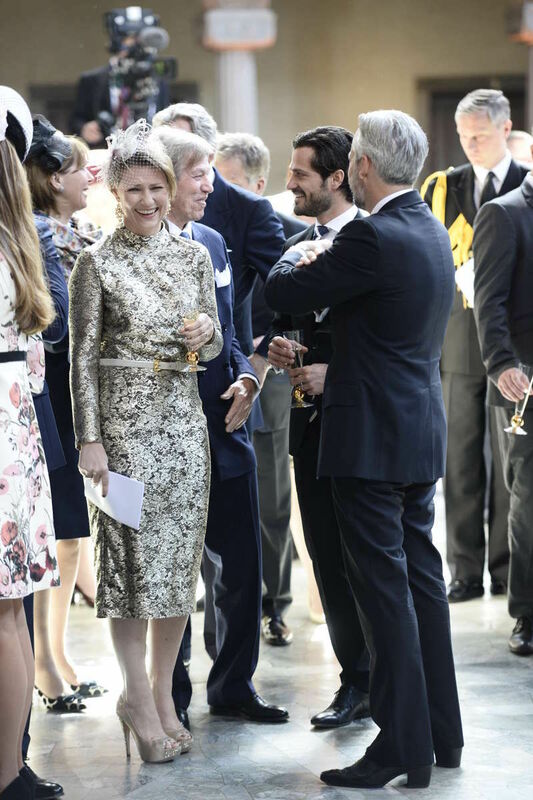 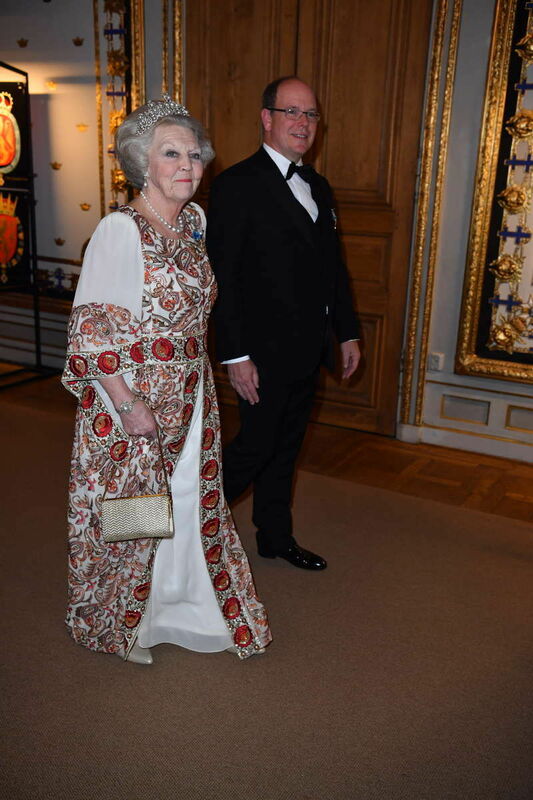 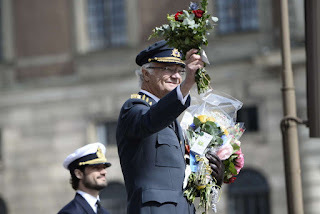 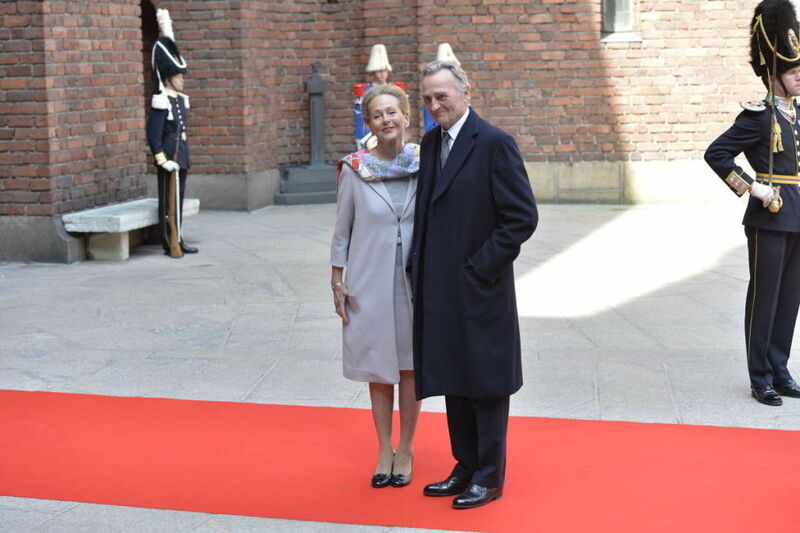 King Philippe and queen Mathilde are in Stockholm, Sweden to participate in the celebrations for king Carl Gustav's 70th birthday. 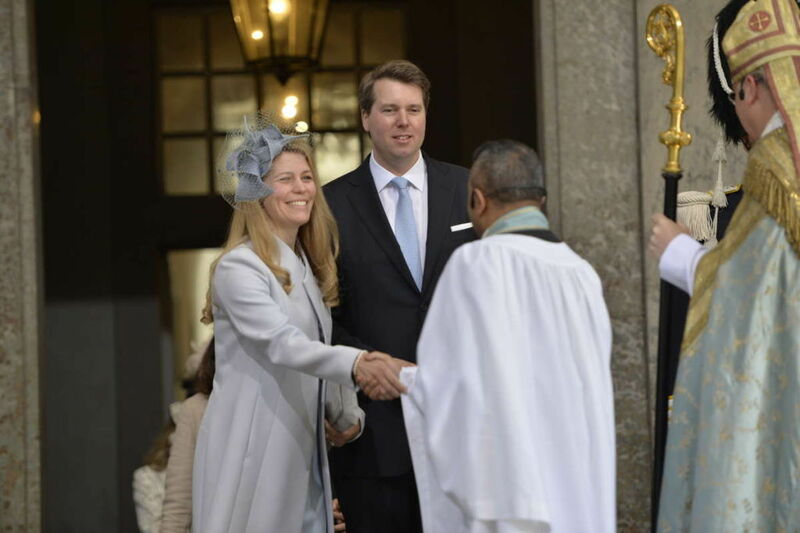 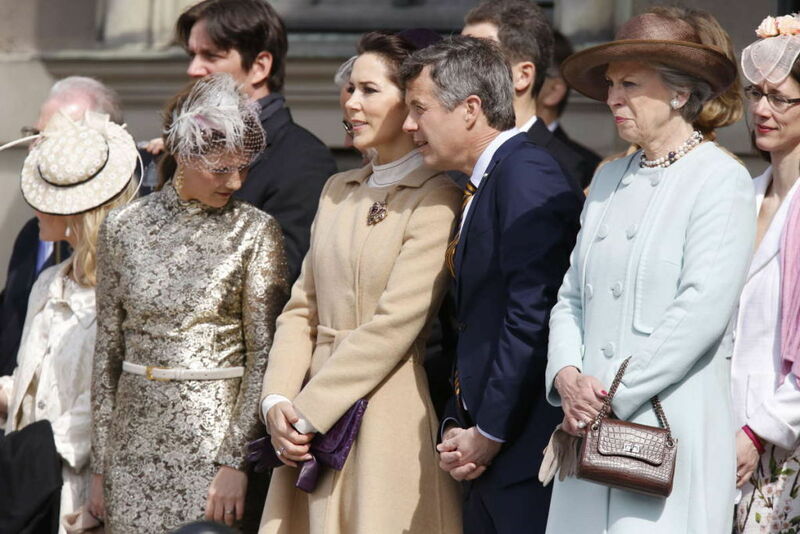 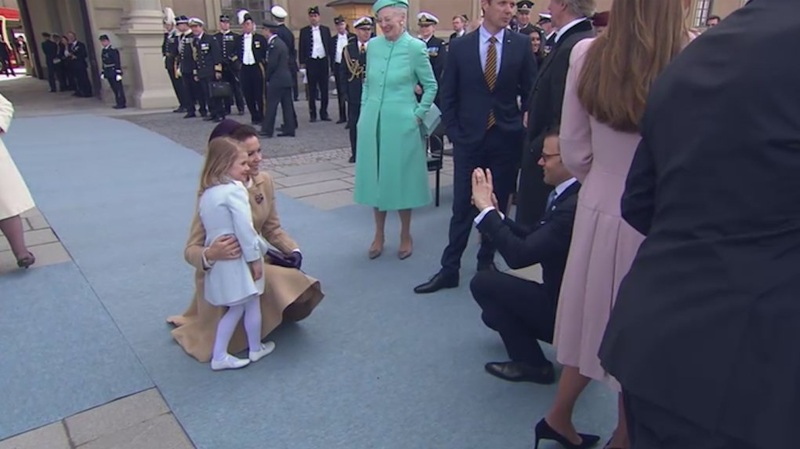 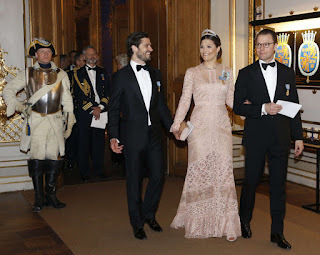 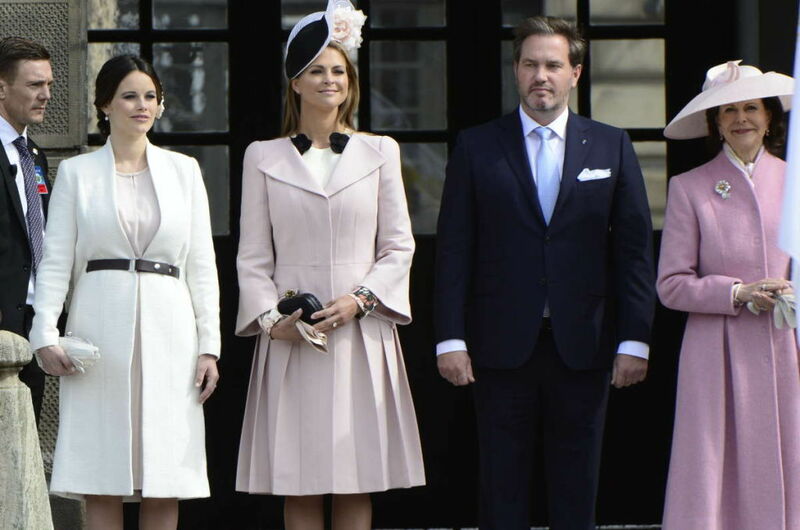 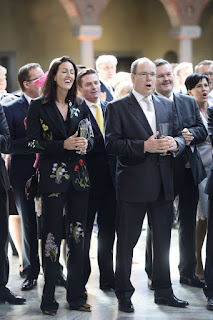 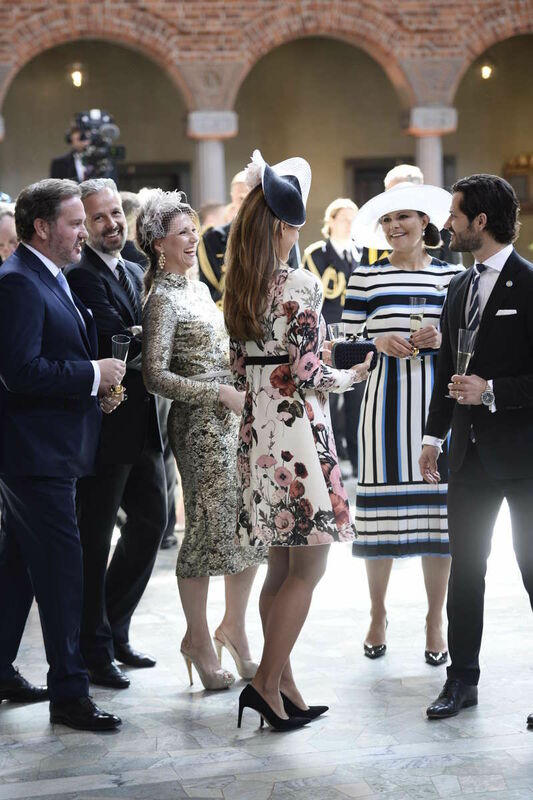 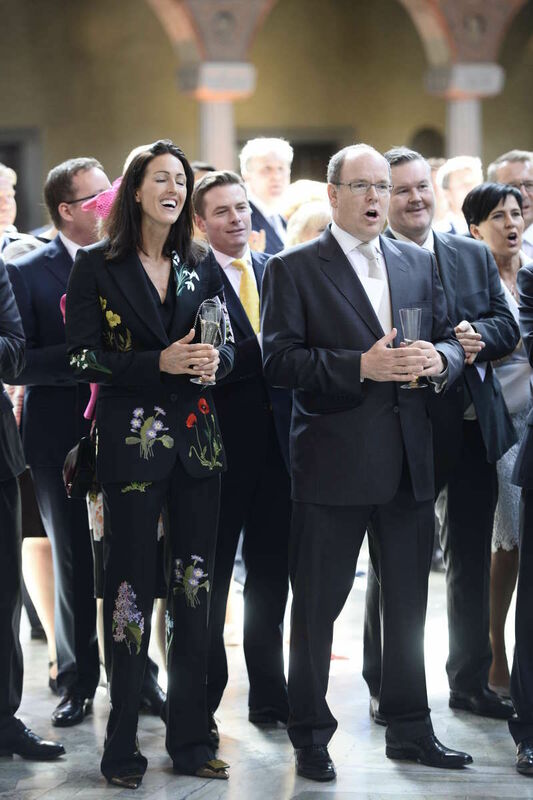 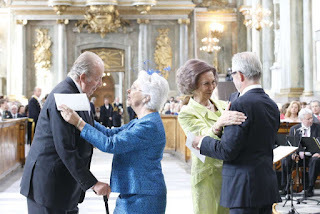 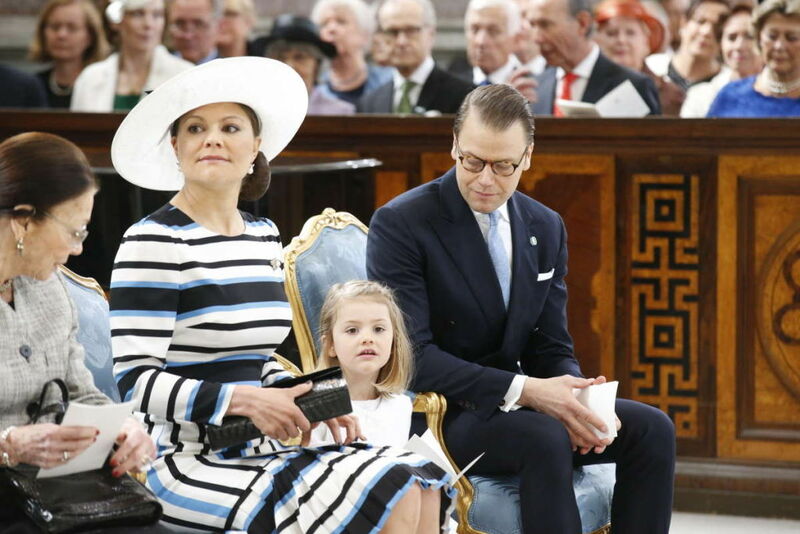 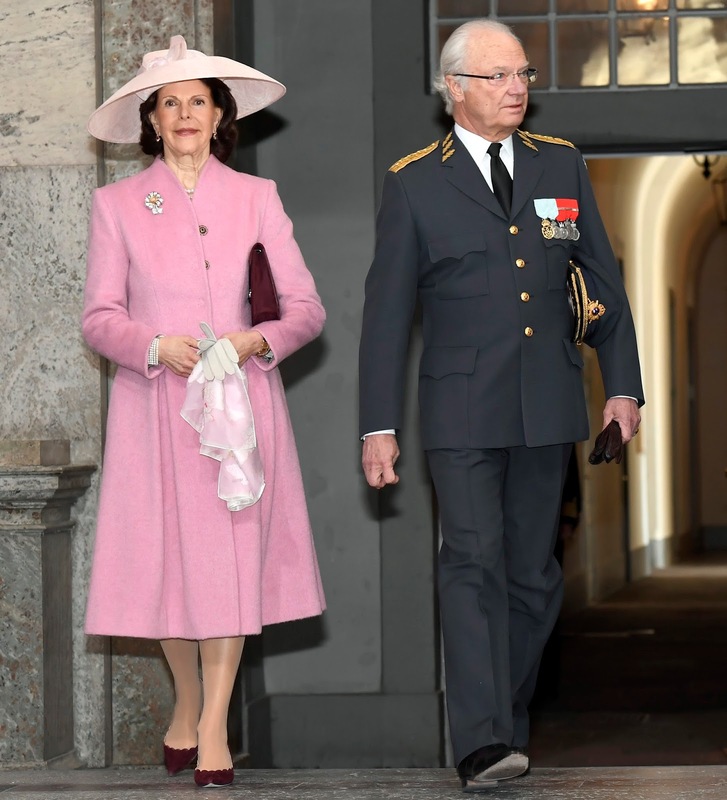 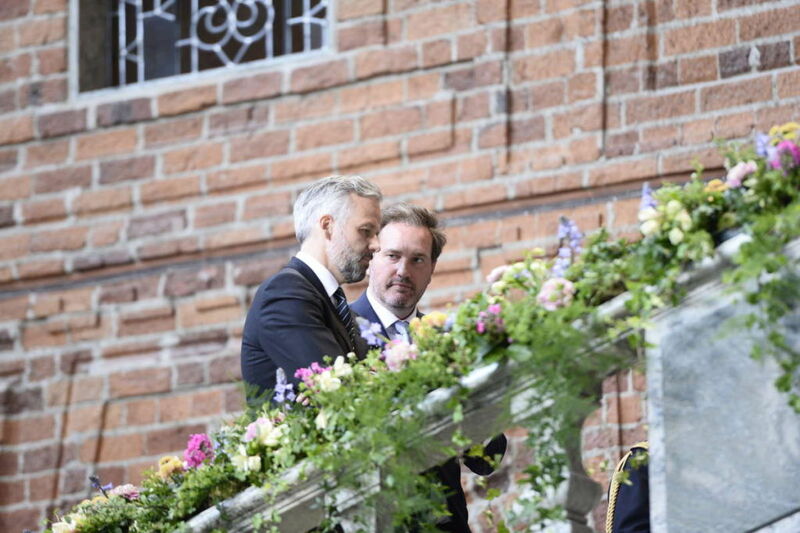 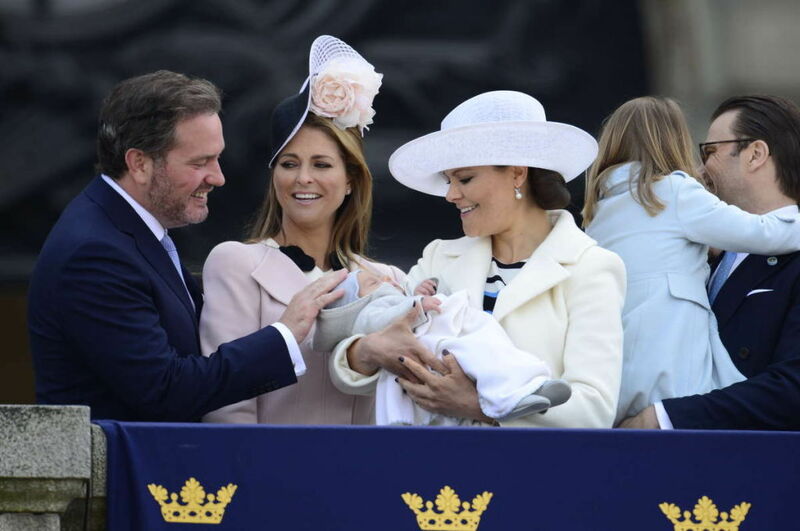 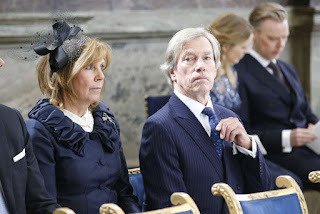 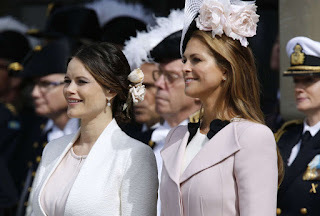 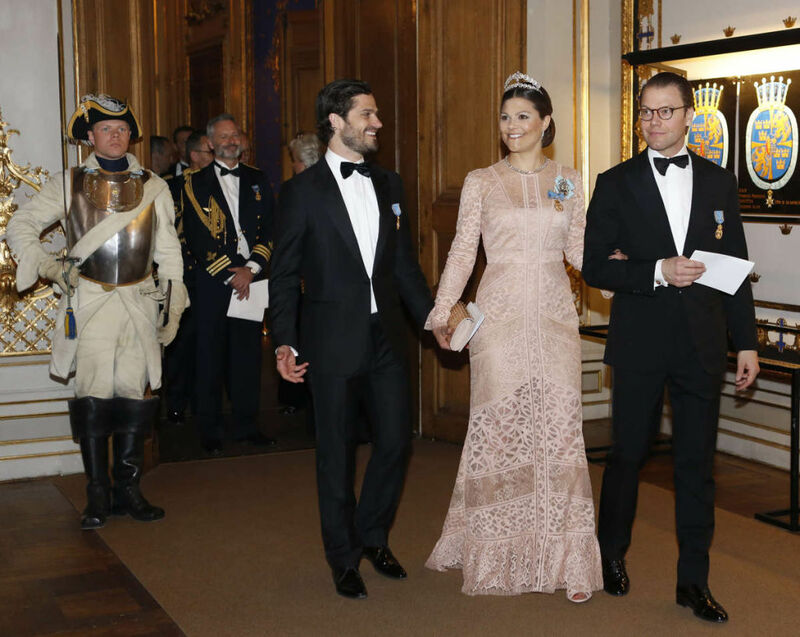 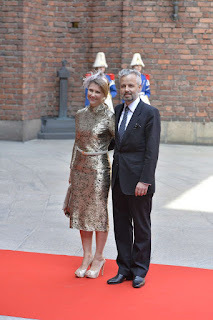 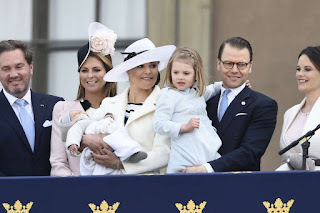 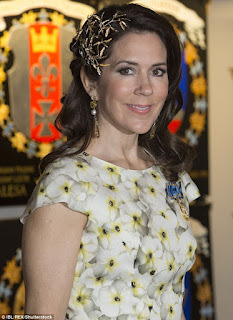 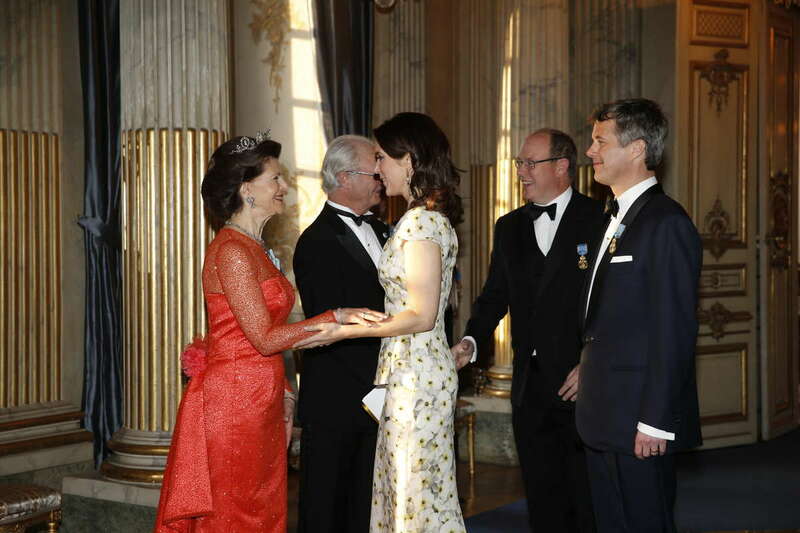 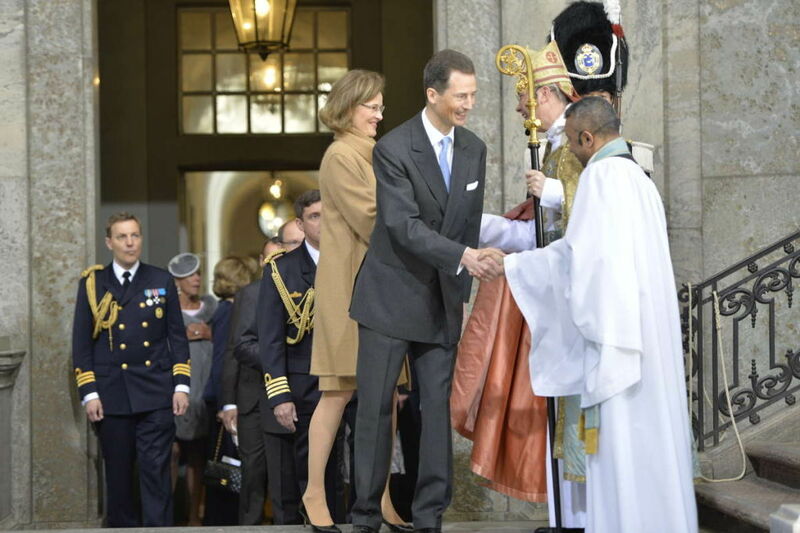 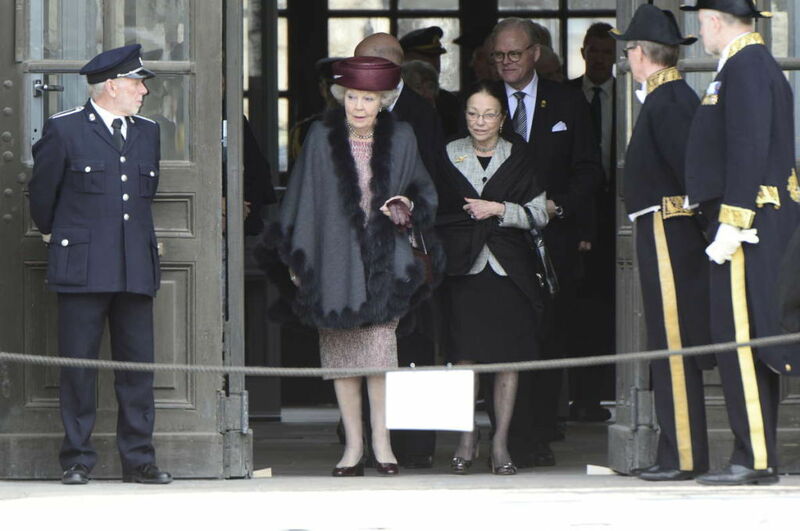 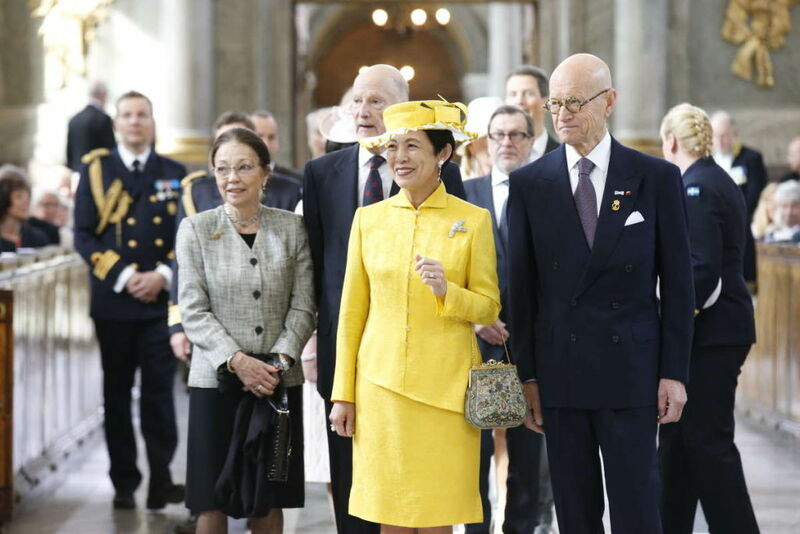 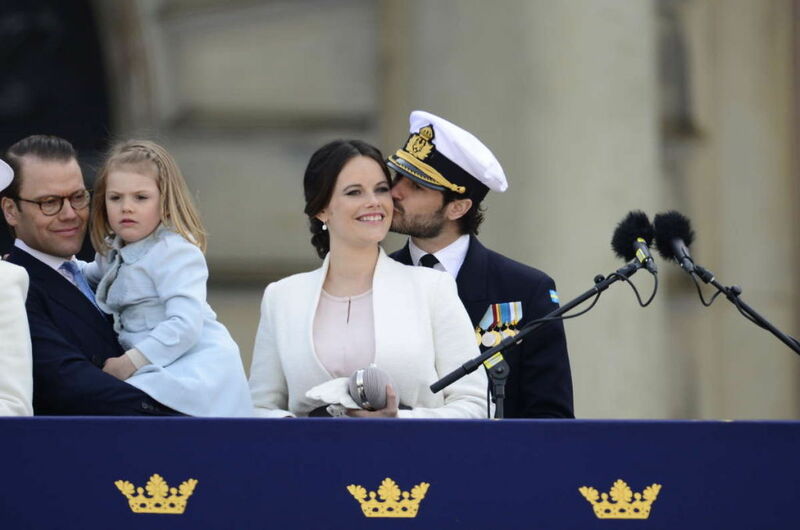 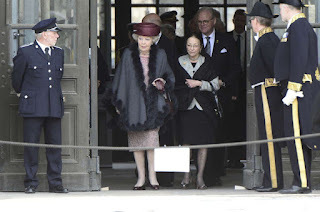 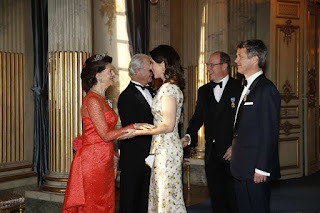 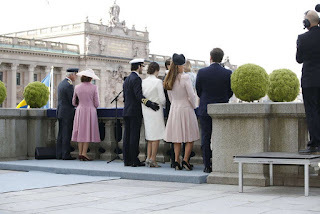 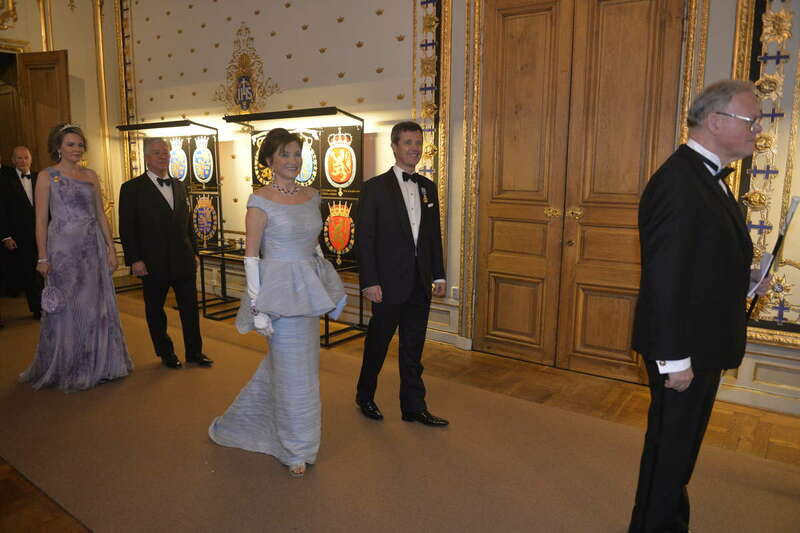 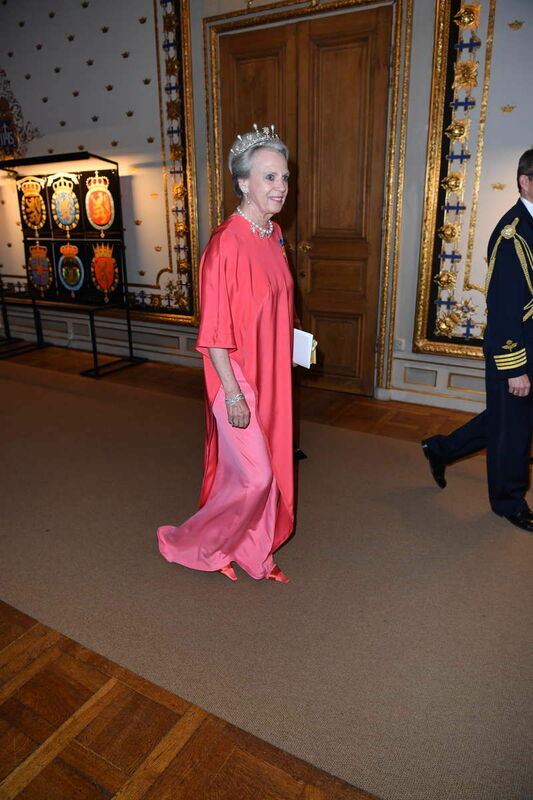 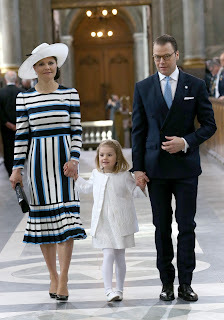 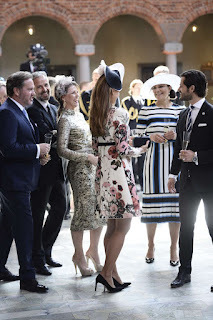 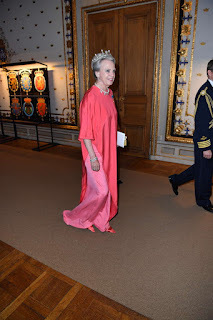 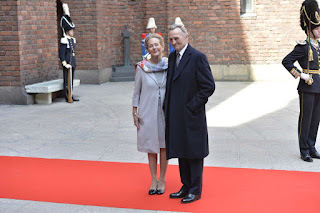 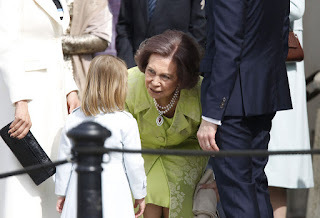 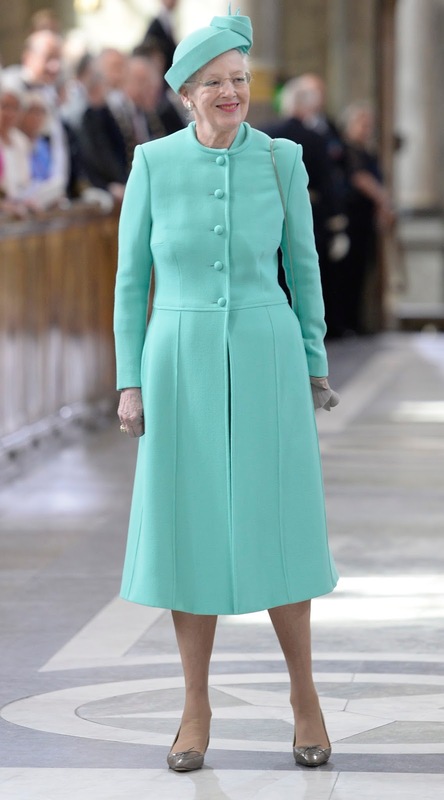 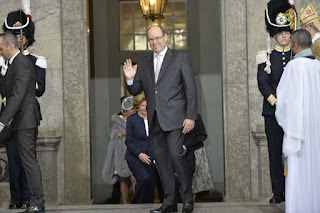 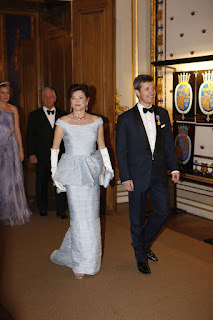 In the morning the Swedish royal family attended a Te Deum at Stockholm's Slotskyrkan, in the company of foreign royals. 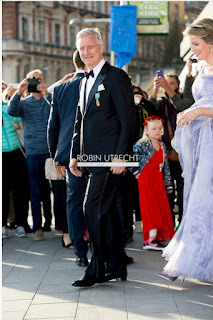 Birthday wishes to the king. 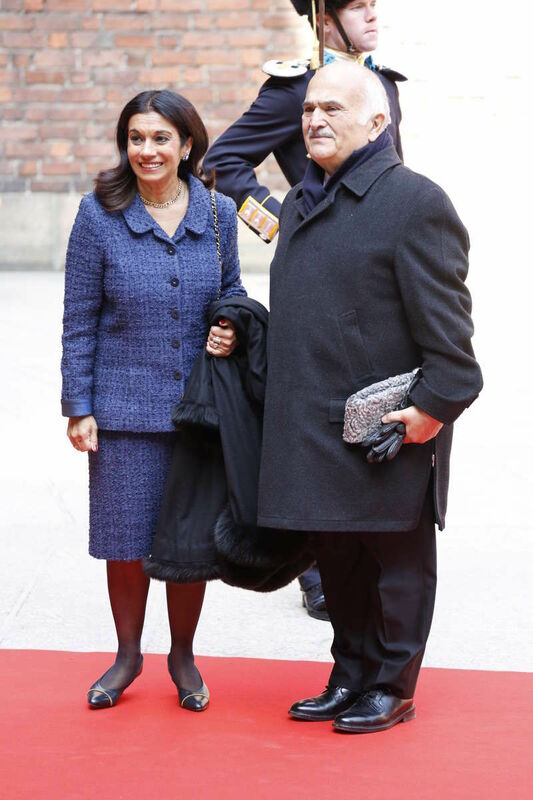 Lunch at the city hall. 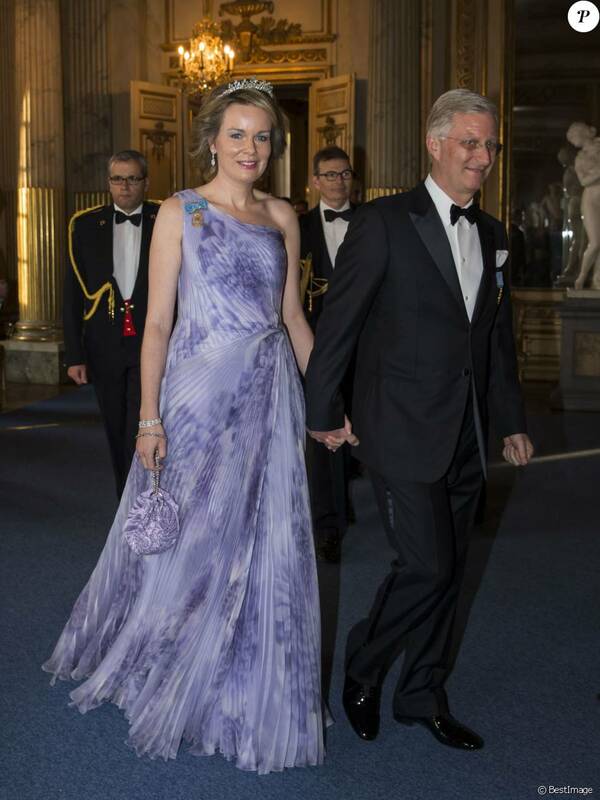 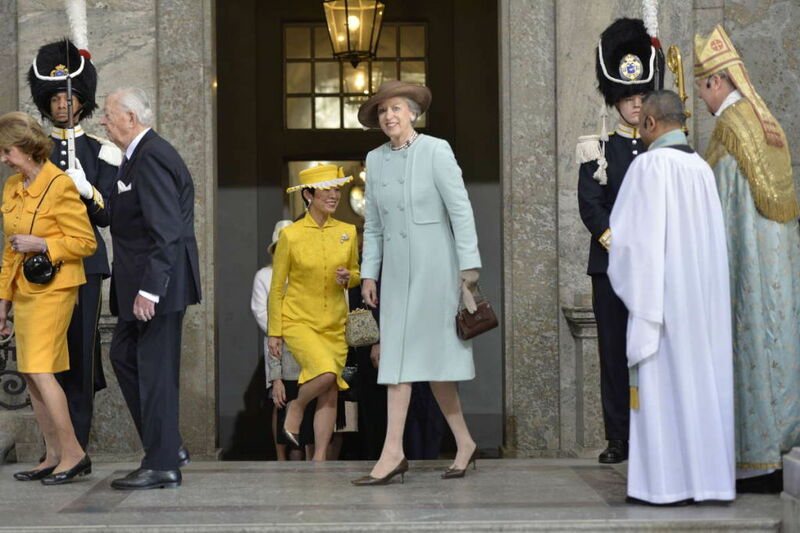 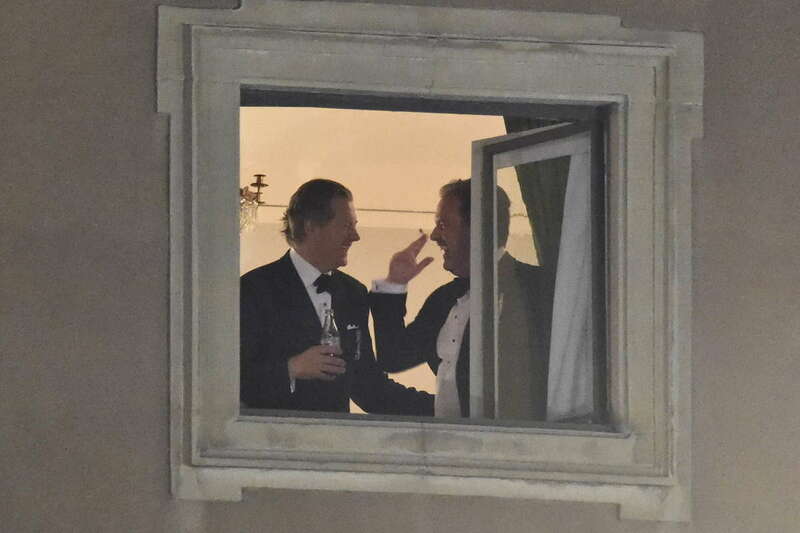 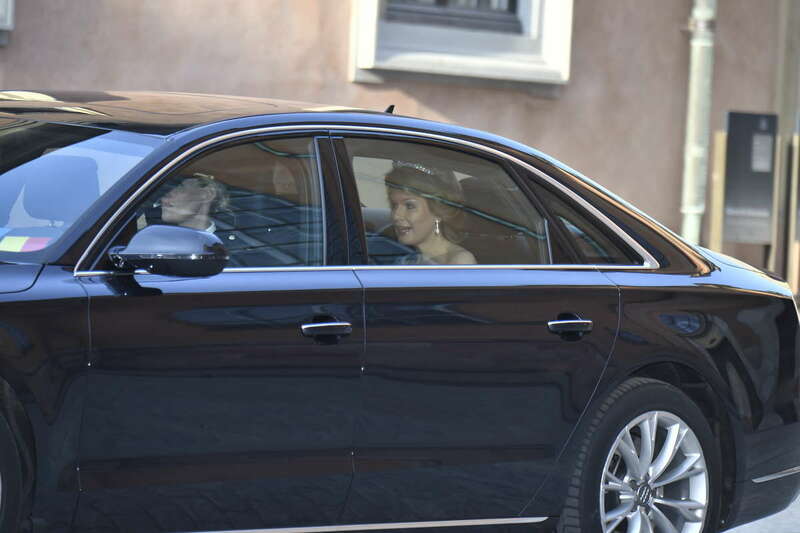 Meanwhile in the afternoon, king Philippe & queen Mathilde arrived at Stockholm's Grand Hotel. 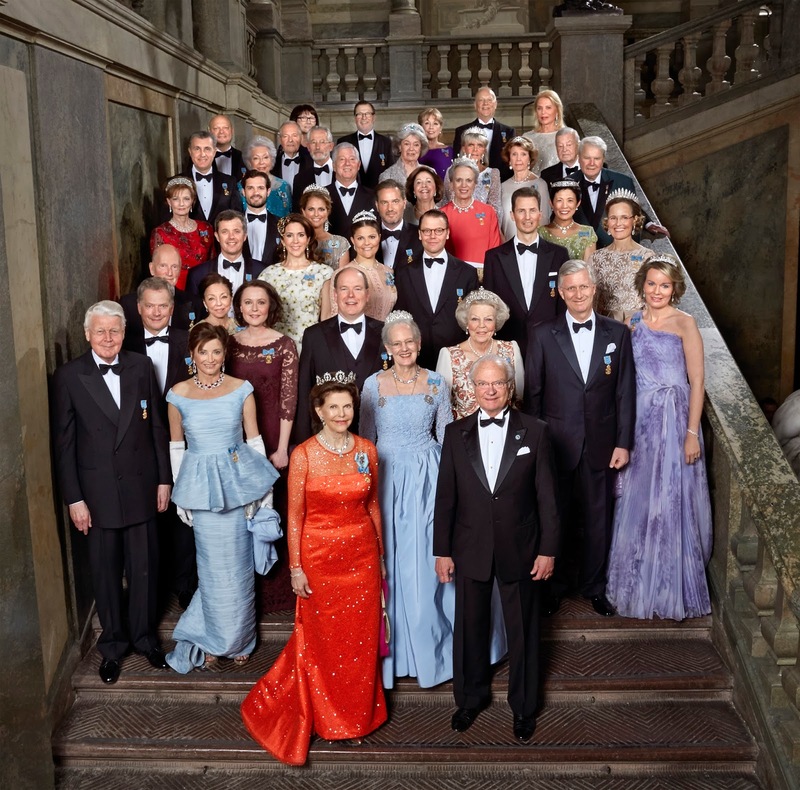 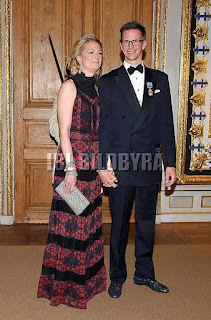 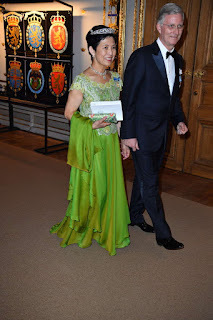 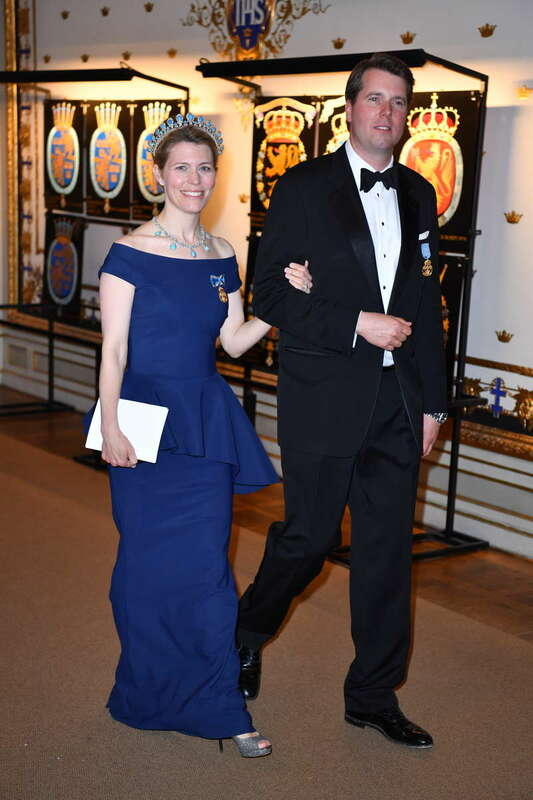 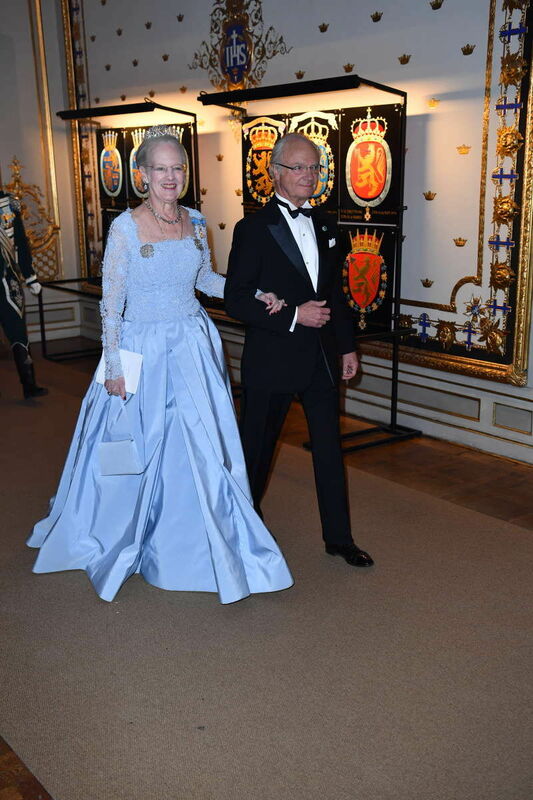 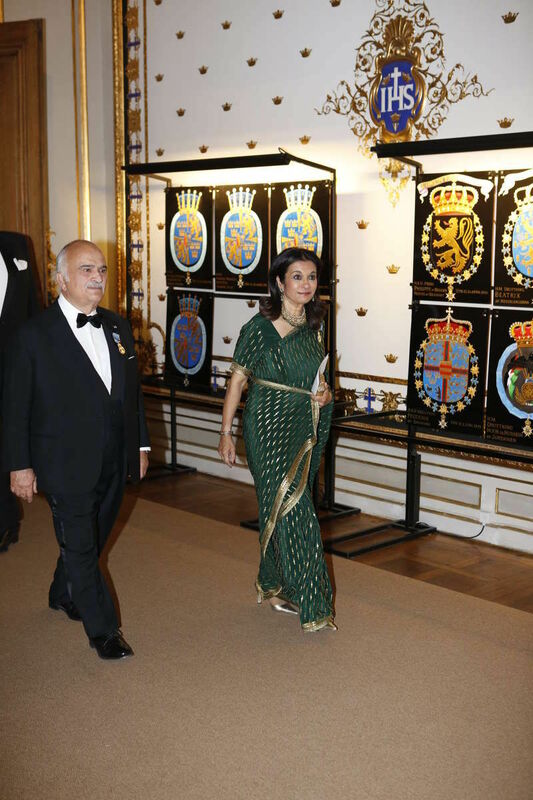 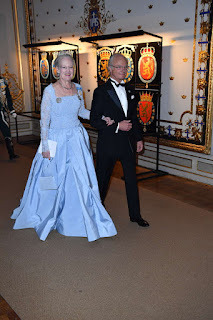 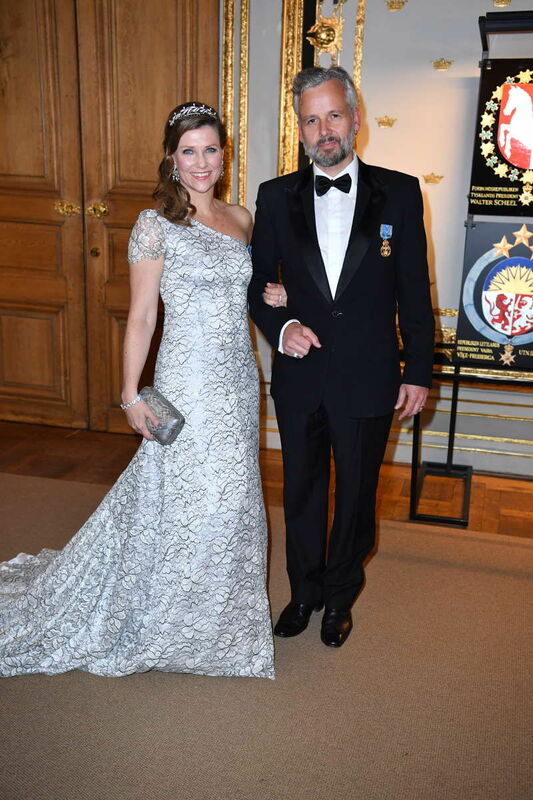 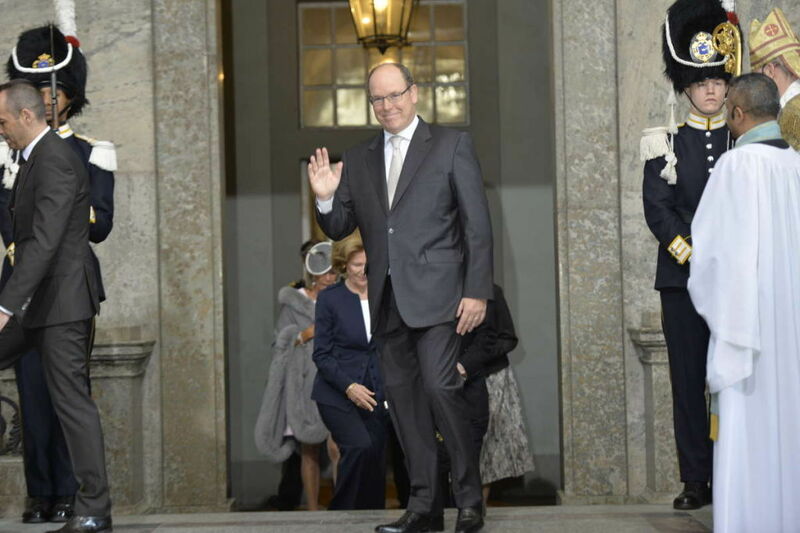 At 19:30 a banquet was held at the royal palace in Stockholm. 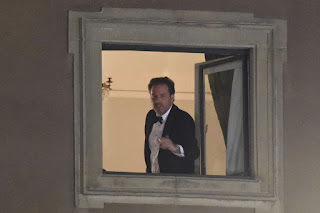 The banquet was followed by a dance party that lasted till the early hours.